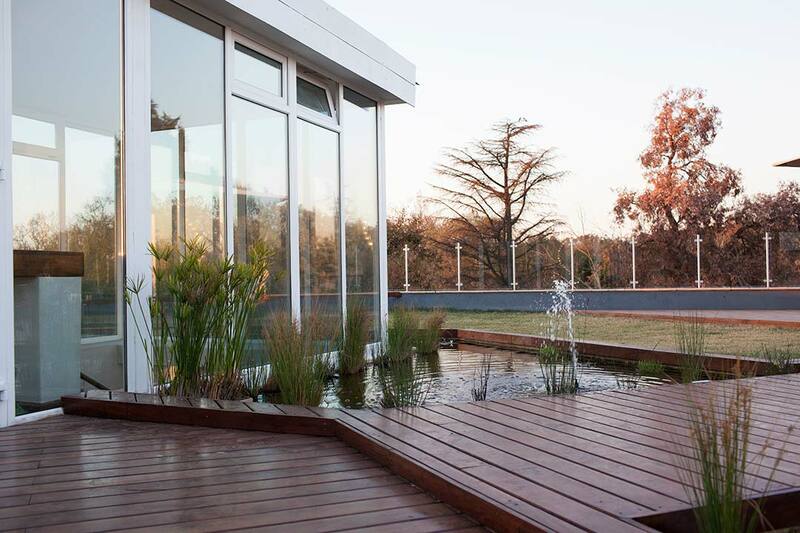 In the North of Johannesburg lies an extraordinary development: a private green city founded on sound principals of urban design and planning. 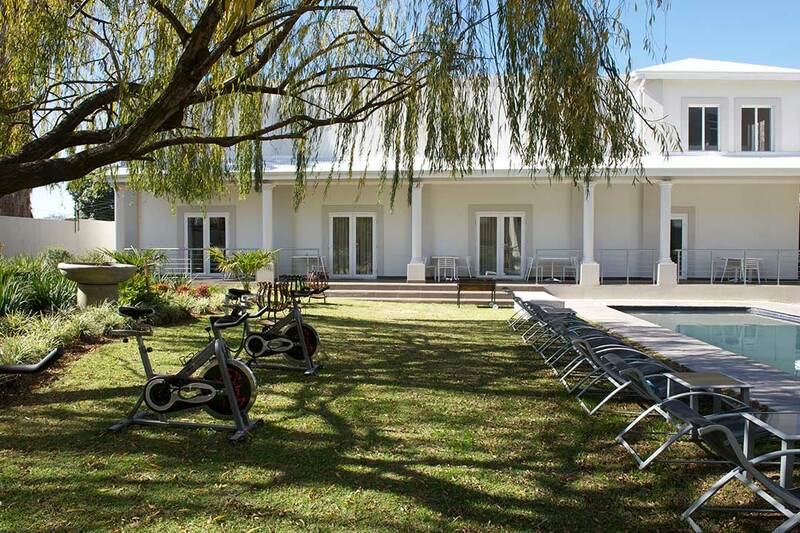 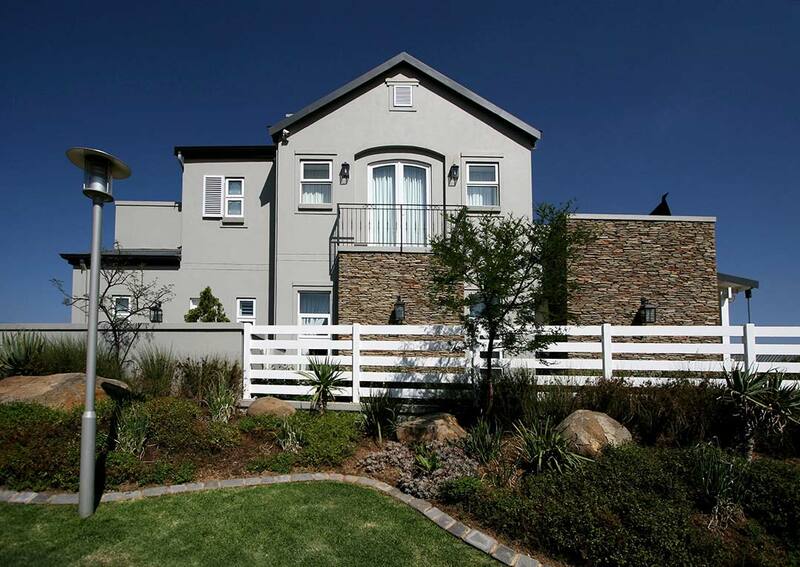 Waterfall Estate combines the safety and convenience of a modern security complex, the space and freedom of the countryside and the sense of community one finds in established suburbs. 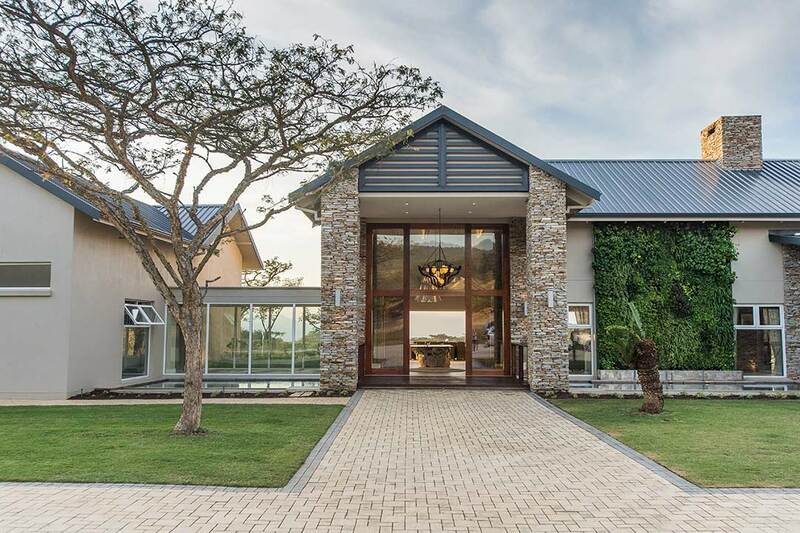 One of the first homeowners to embark on building his dream home in this pioneering environment was a well-heeled businessman looking to set down roots. 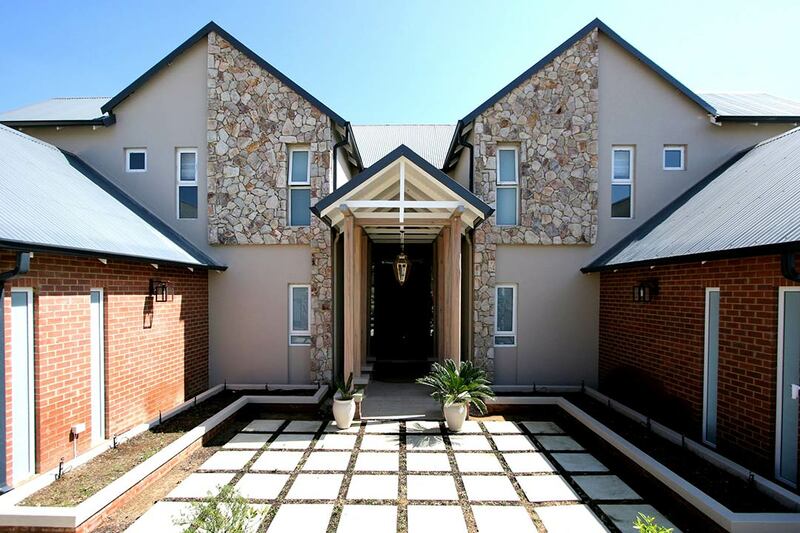 He was particularly pleased to be able to design a home that combined his favourite visual aesthetics: the functionality and clean lines of modern Johannesburg, the gracious comfort of the Italian countryside and the warmth of natural stone and wood materials. 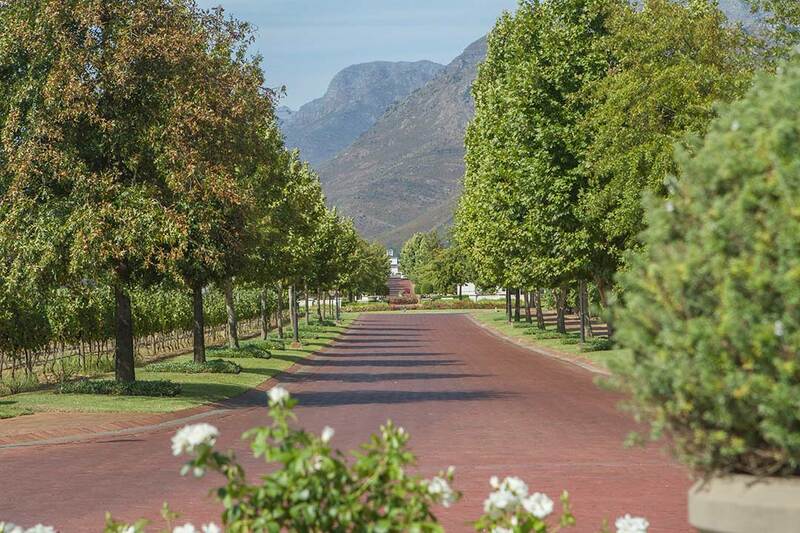 His chosen plot afforded stunning views over the famous lush green landscapes of the estate. 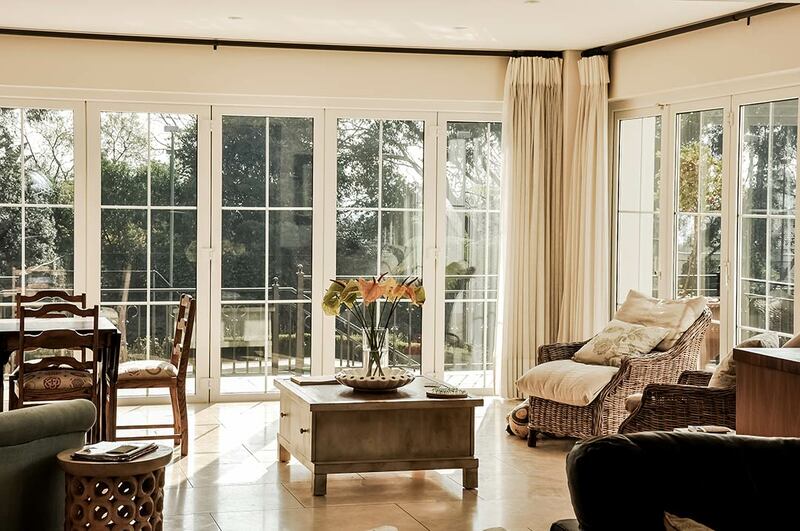 He made the most of this by installing glass sliding doors in almost every room and elegant custom windows throughout. 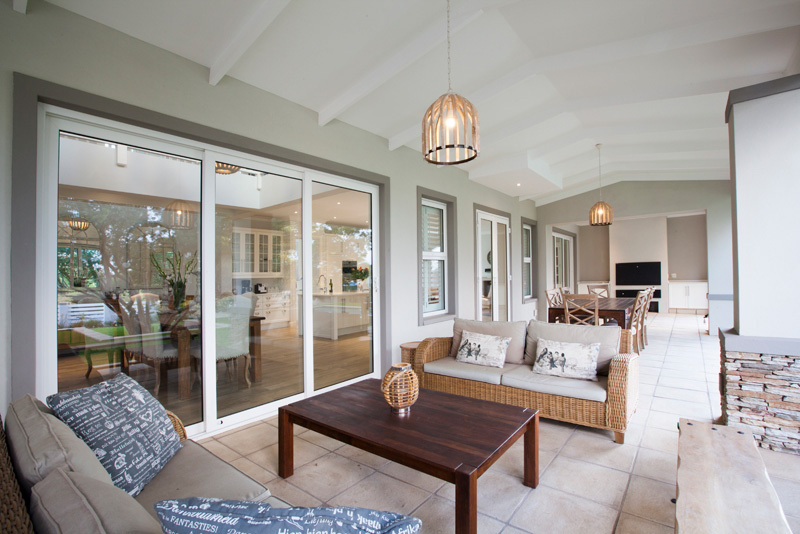 The result is an incredibly light space with a beautiful flow between indoor and outdoor spaces. 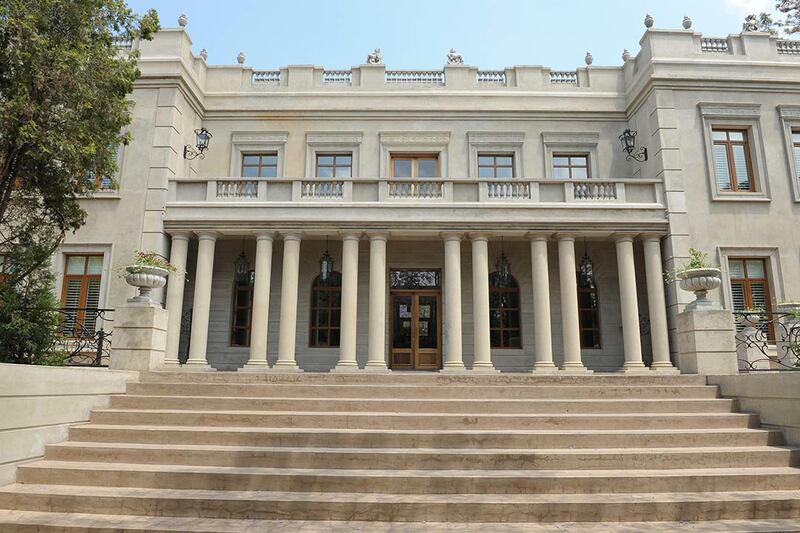 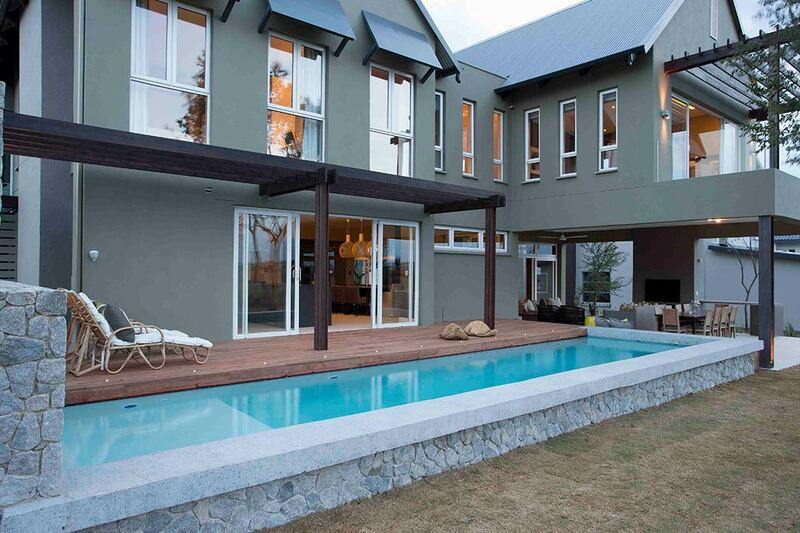 At the time, Waterfall Estate was only the beginning of a dream. 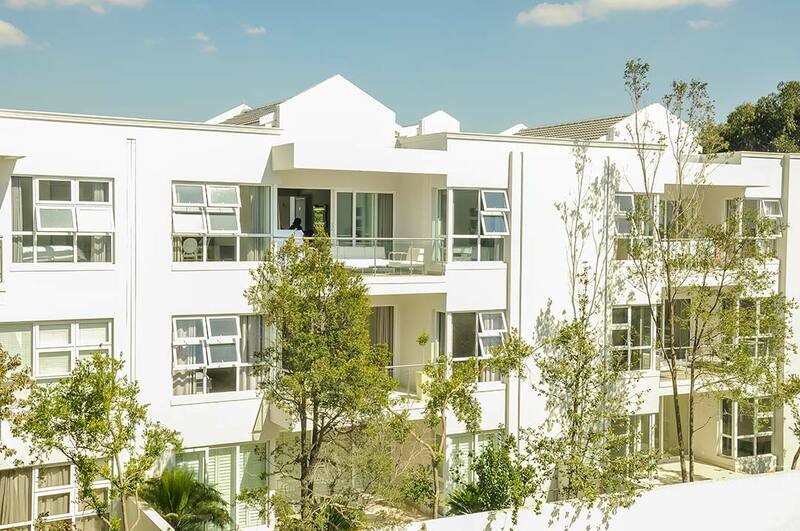 The dust had barely settled and only a handful of properties had broken ground. 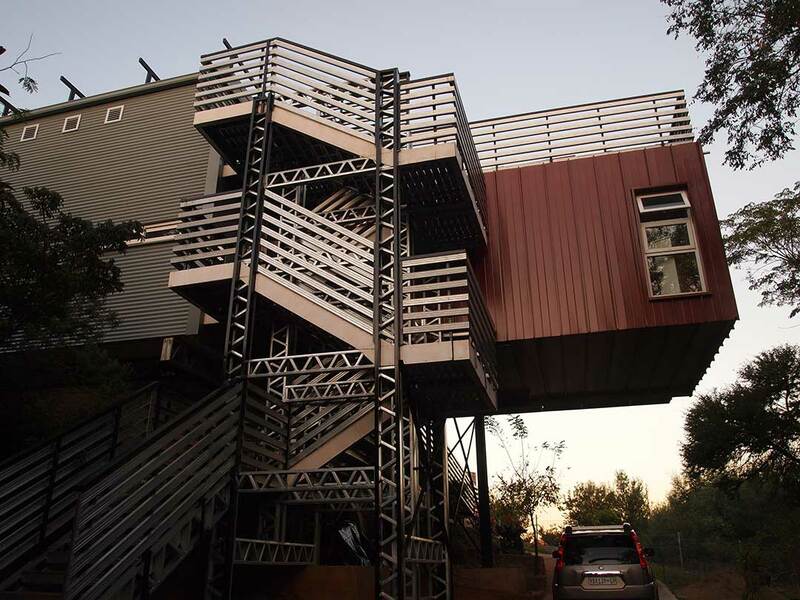 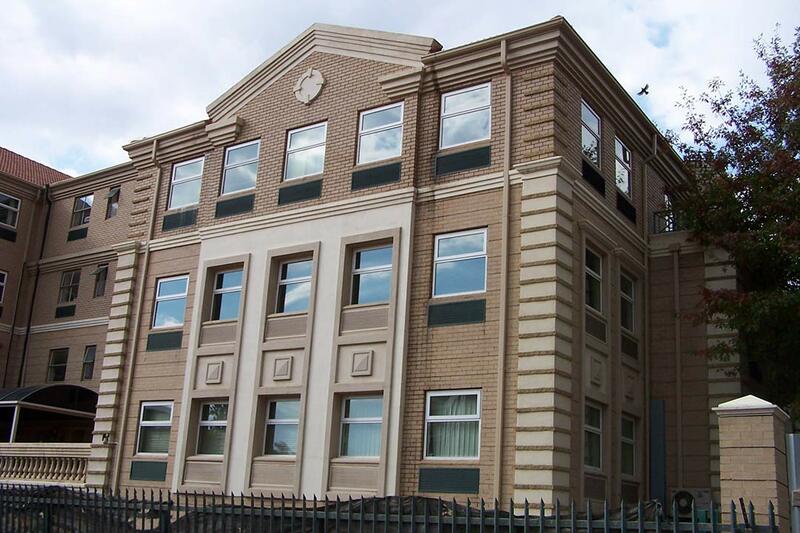 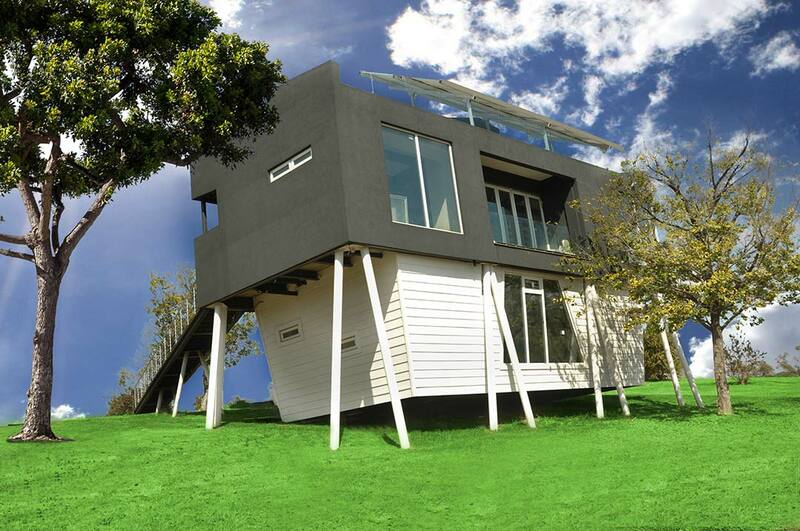 Owners were visionaries, keen to try out the latest cutting-edge building technologies and materials. 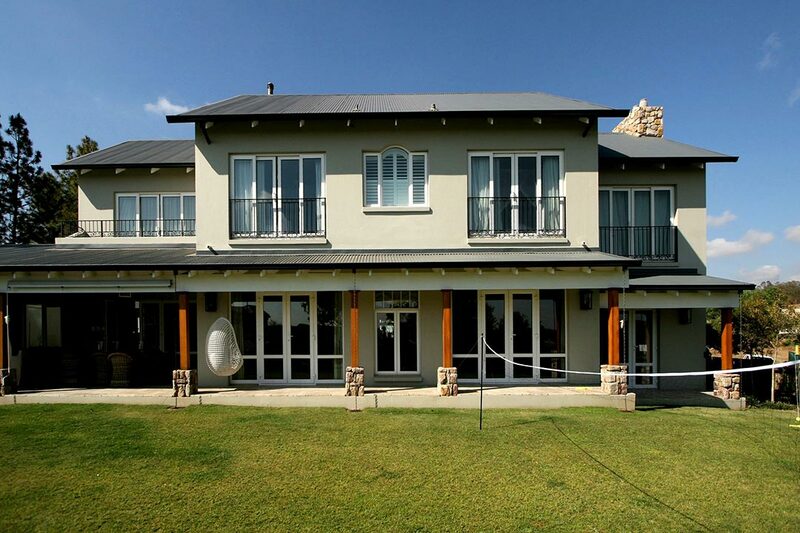 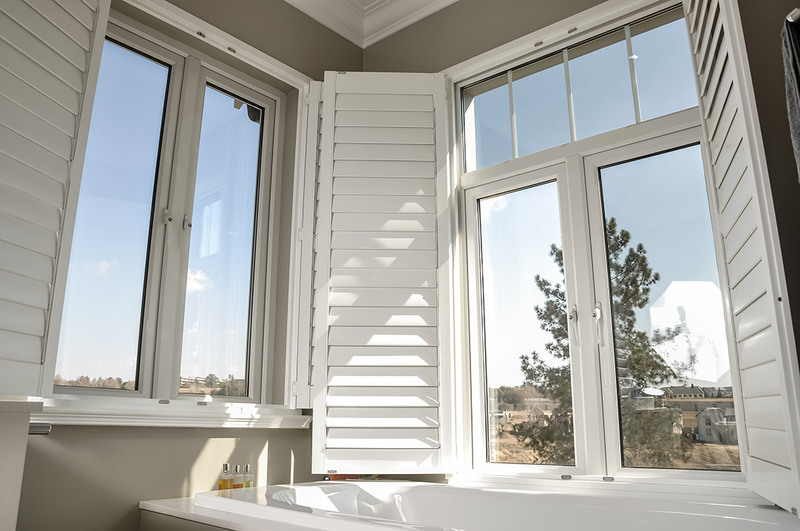 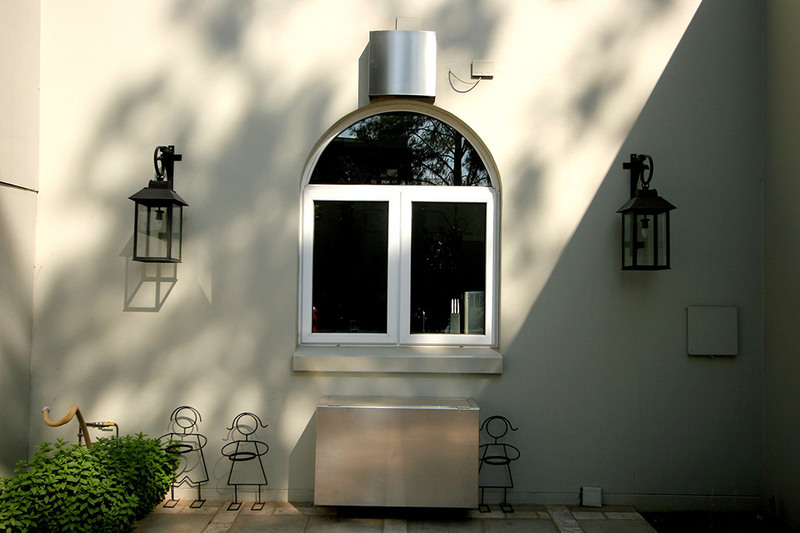 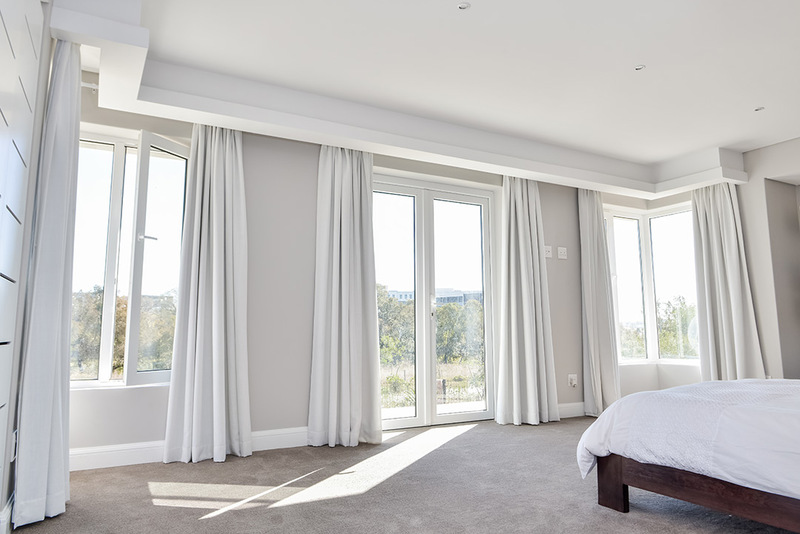 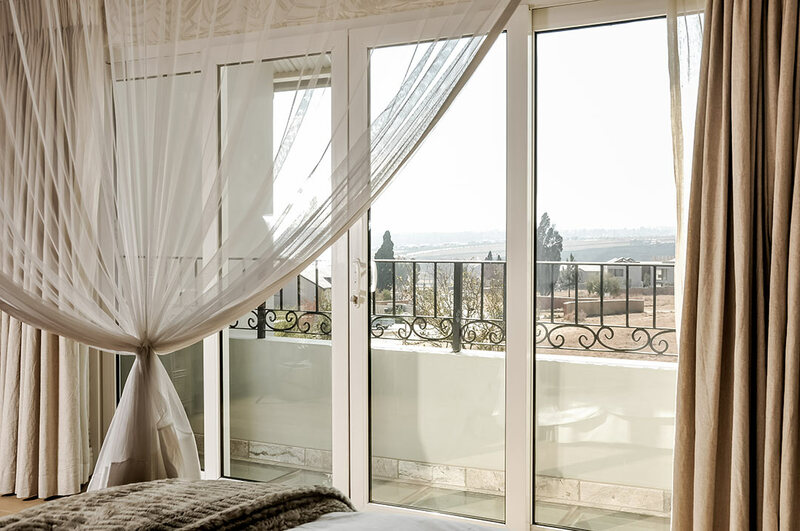 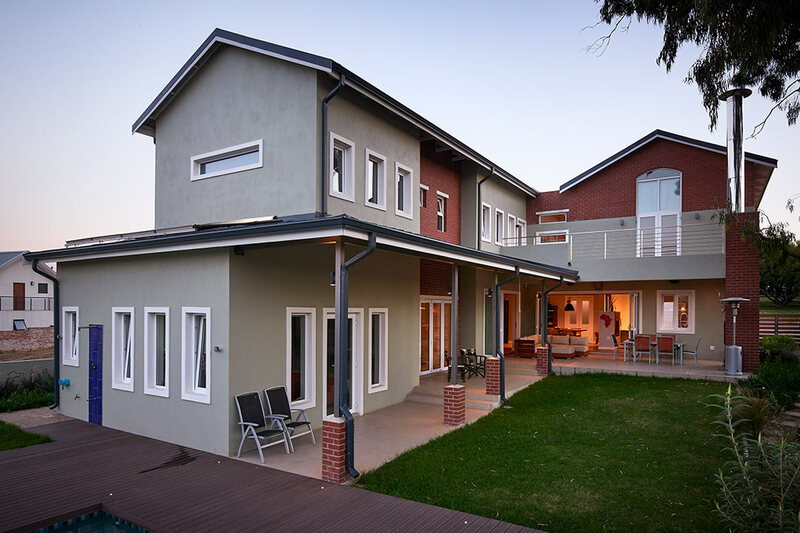 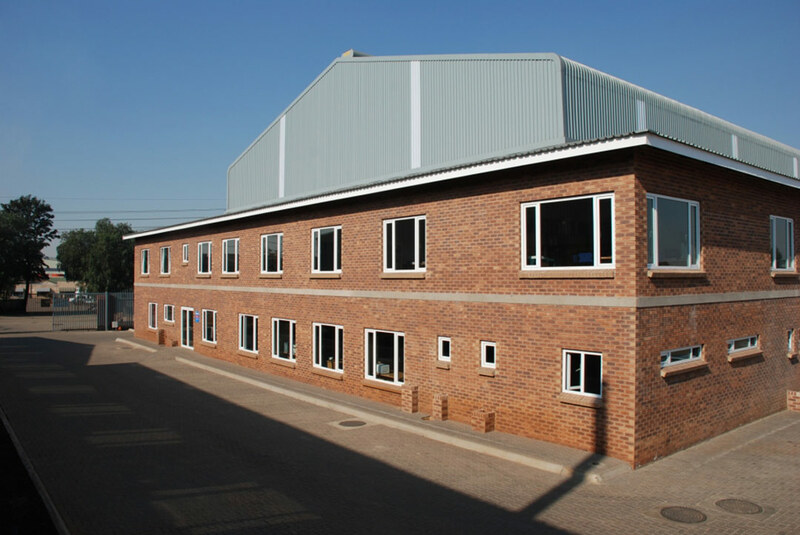 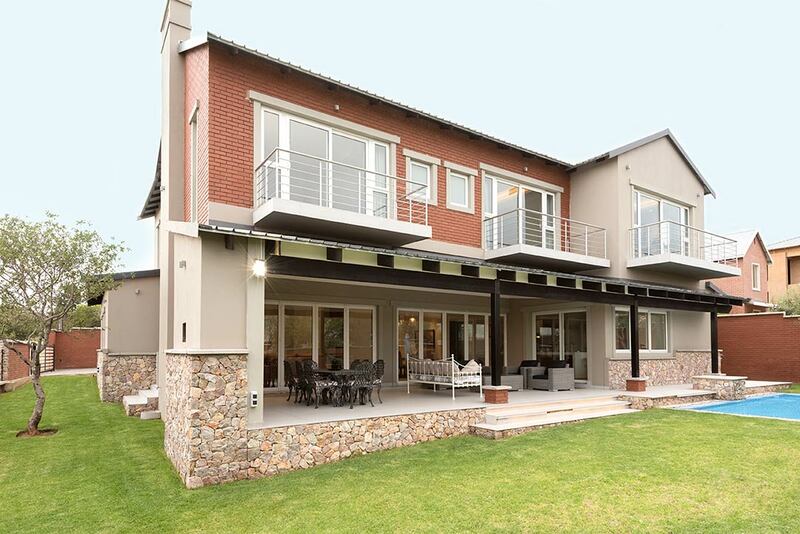 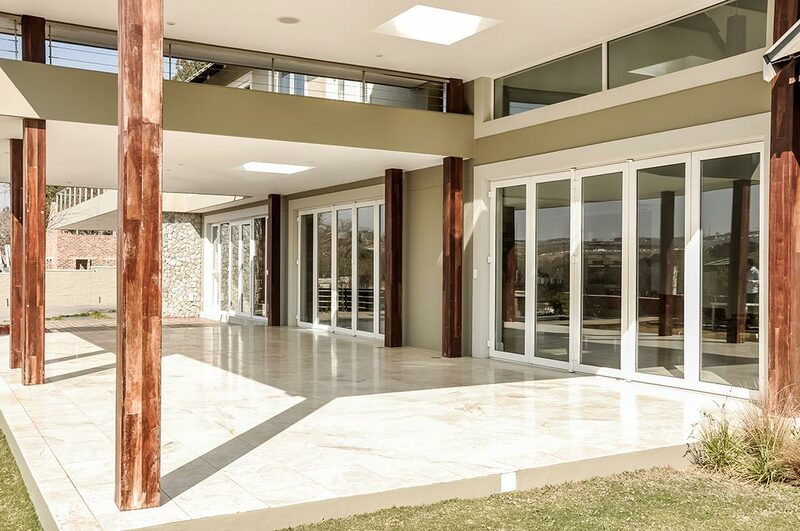 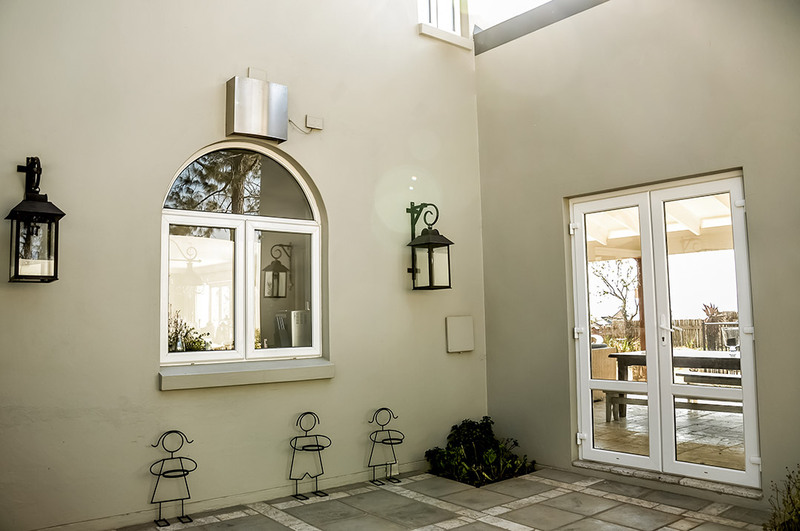 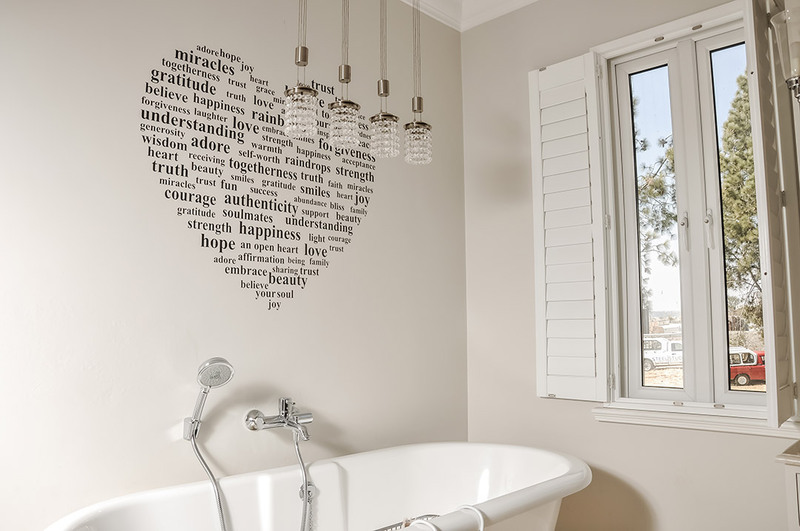 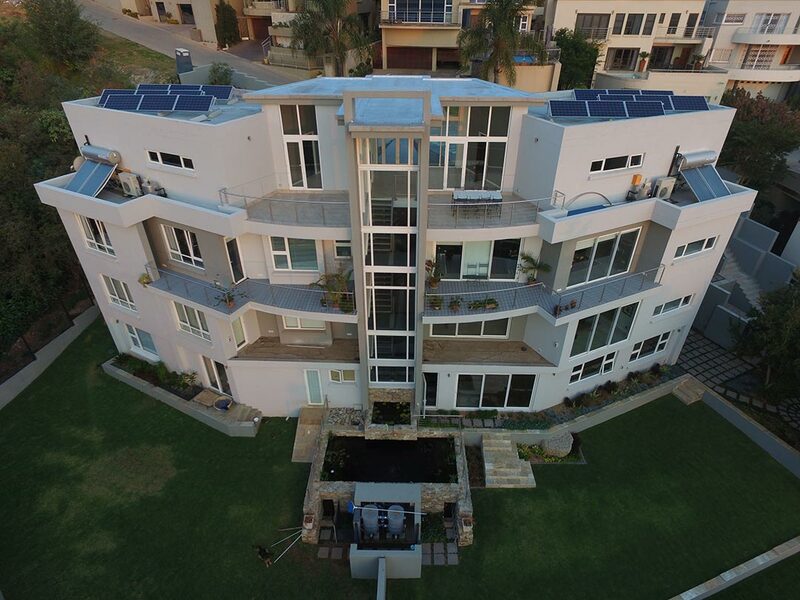 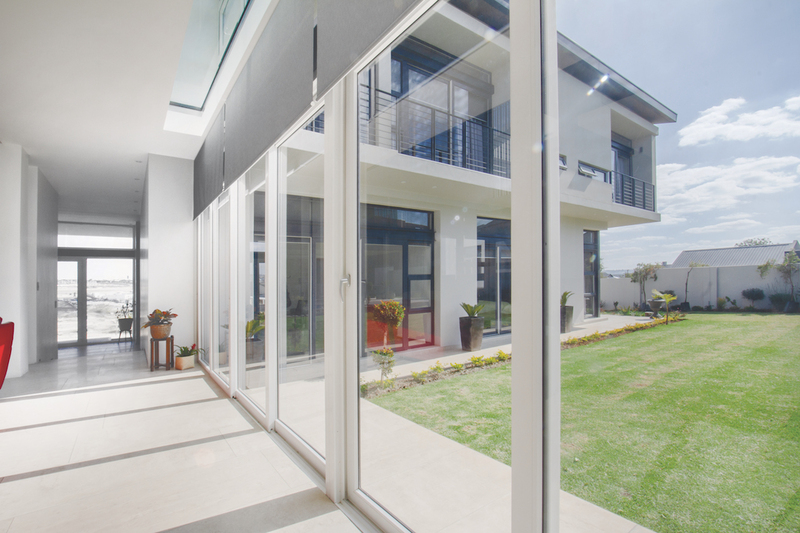 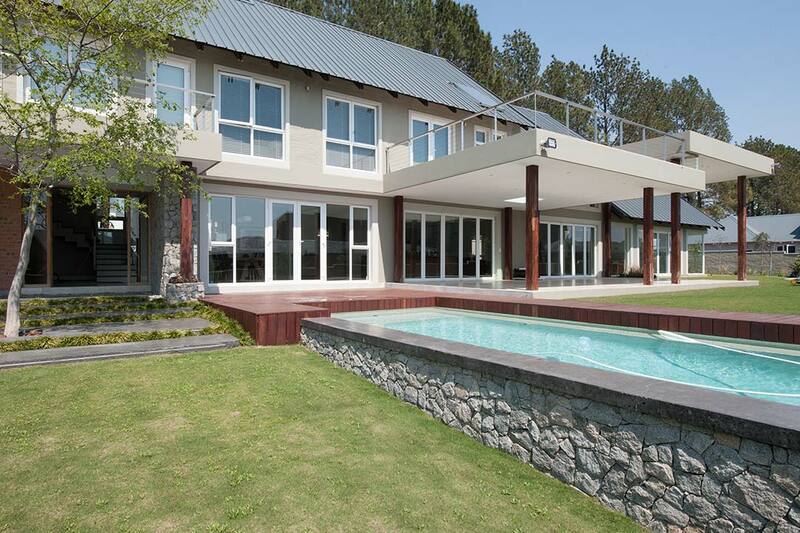 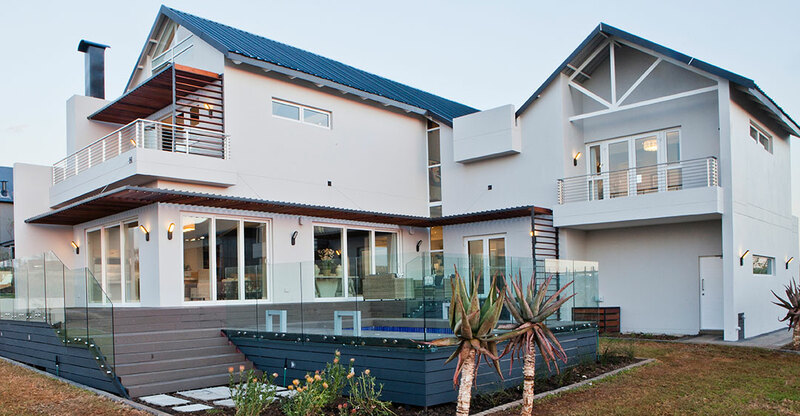 This home was only the second Waterfall property to use Teva Windows: then a small, innovative start up; today the largest authorised supplier and installer of uPVC windows in South Africa. 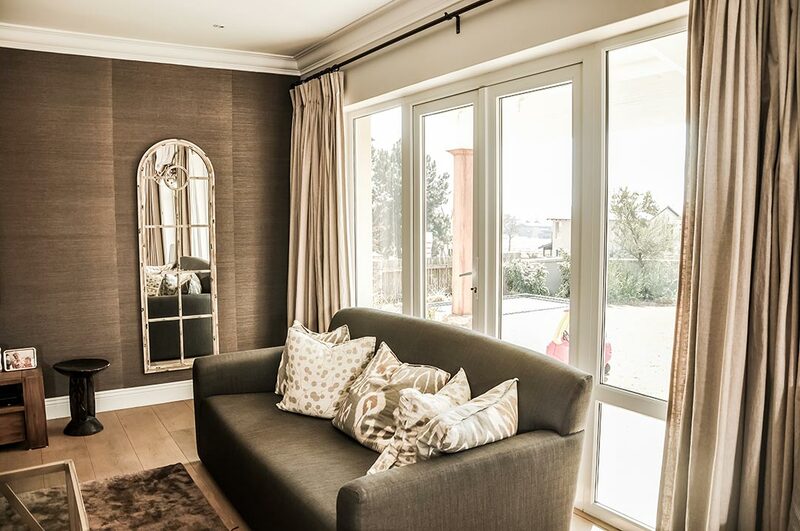 The simple, classy design of the doors and custom windows assisted in pulling together the diverse design influences evident in this home. 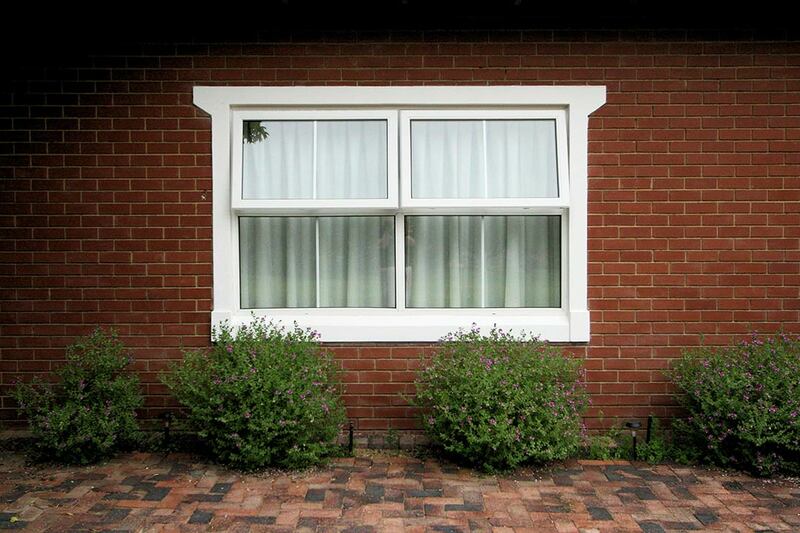 Almost a decade later, the investment in energy efficient windows and doors is paying dividends. 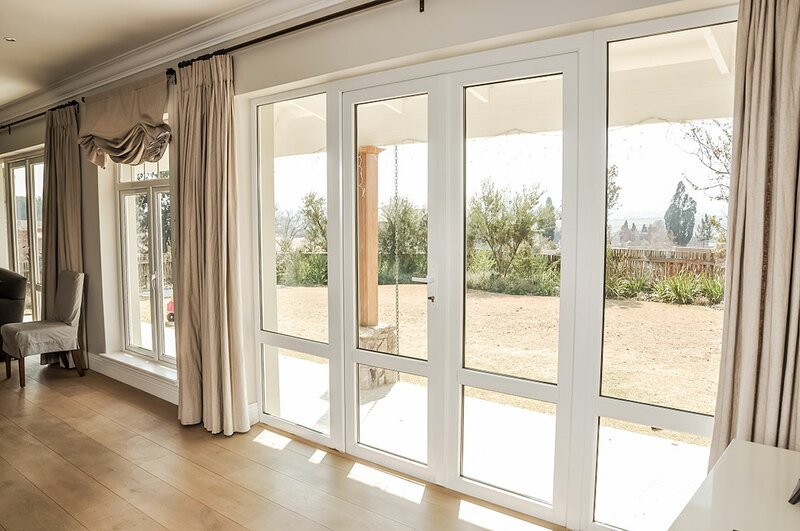 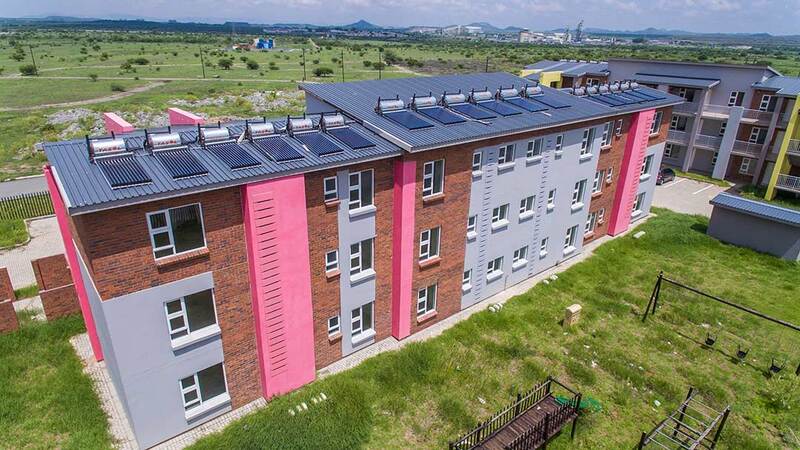 Electricity consumption on the property has remained astonishingly low despite the area’s fluctuating temperatures, and there has been no need for expenditure on maintenance of the durable window and door frames. 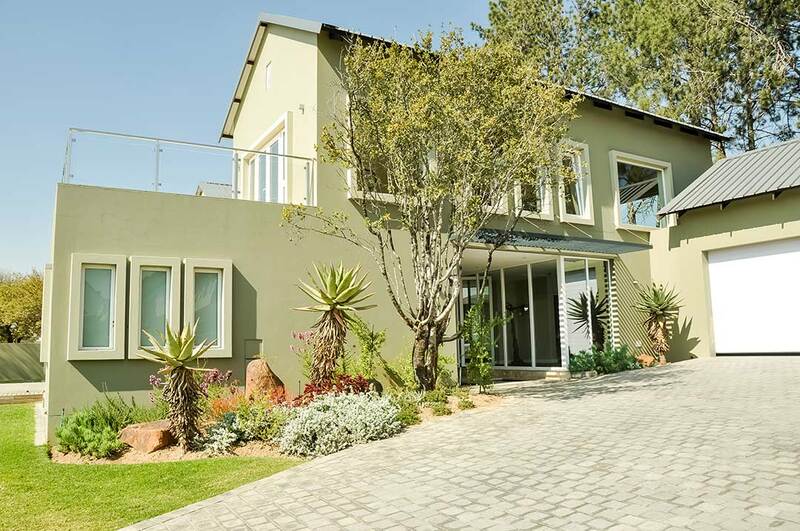 As Waterfall Estate has flourished, this property has become a flagship: an example of the very best in design and implementation. 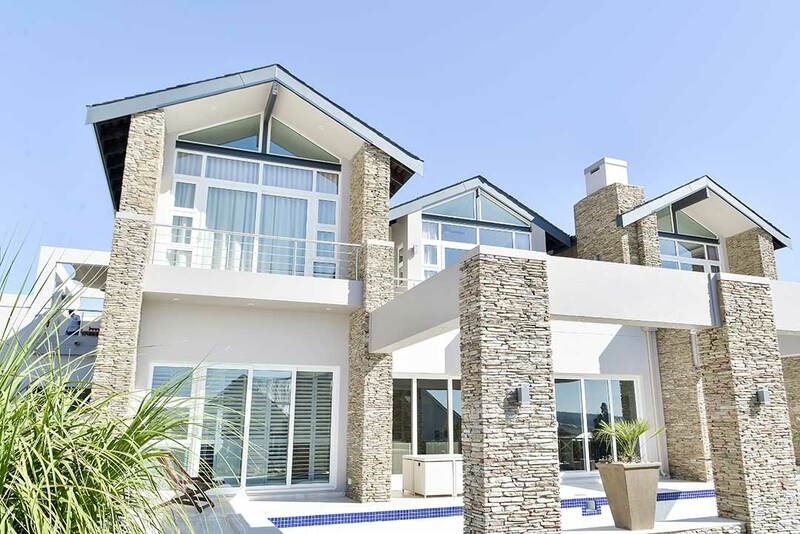 It was at the forefront of the Waterfall lifestyle revolution and looks set to stand the test of time.